Experience – Forms Plus have 35 years of experience of delivering complex print requirements for a number of businesses across a range of sectors. Knowledgable and efficient – Our staff are here to help provide you with a variety of materials and services including design, print management, bespoke business stationary, specialist products such as invoices, statements, barcoded forms, multi-part sets and integrated peel-out cards. You can find out more about the services and products we offer here. Save time and money – Forms Plus can help you choose the relevant integrated products that can help streamline your business and speed up your despatch process, saving both money and time. Environmental priorities – We take our environmental responsibility very seriously, sourcing our products from free trade partners with Environmental Certification and accredited labelling schemes. We also seek to use alternative materials that reduce waste and environmental impact and in turn increasing the recyclability of products. Effective print management service – We are here every step of the way for our customers. From the ordering process to the design, from storage to distribution. In handing over your printing operations to us, you can free up time to focus on other areas of your business. We will keep a close eye on your costs and stock – If you are low in stock, we will let you know so that you can re-order, so you’ll never be unexpectedly out of stock. Reliable and delivering high quality products – We have a strong rapport with our network of traders who provide us with the quality products that we supply. Market leaders – Forms Plus is one of the principal suppliers of integrated labels to multichannel retailers such as eBay and Amazon. Innovating – We’ve been around for over 35 years and still keep ahead of the market trends. A proven example of this is, we were one of the first suppliers of integrated label forms 20+ years ago when laser printers took the reigns away from dot matrix tractor fed technology. We also created our very own recyc-label when environmental concerns came into prominence. We are constantly thinking of ways to simplify things for our customers. Want to know what other people said about our service? Check out our customer testimonials here. If you would like more information about the products we offer here at Forms Plus, please do not hesitate to contact us. 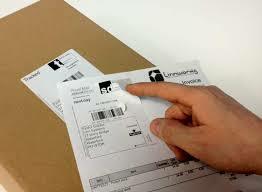 « Forms Plus – more than just a label supply company…..